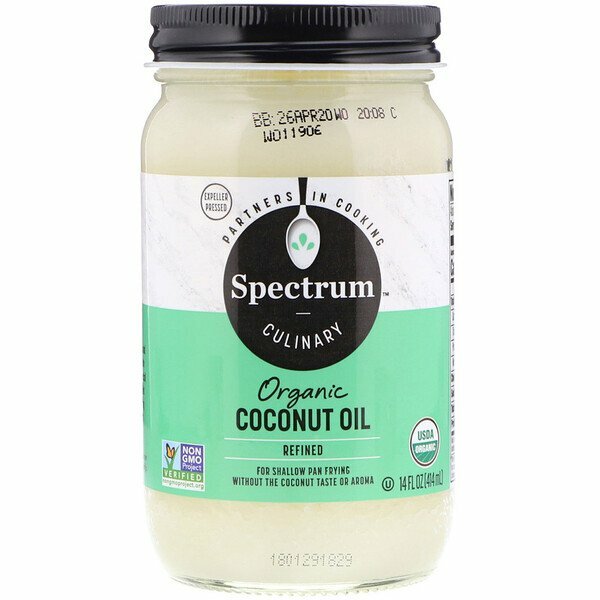 Spectrum Organic Refined Coconut Oil offers the same uses and creamy texture treasured in our virgin coconut oil without the coconut taste. This means no competing flavors with your special stir fry sauces, chocolate almond smoothie or morning bullet coffee. Whether it's baking tender moist cakes or pan frying a batch of crispy spring rolls, from over to stovetop, this expeller pressed oil works wonders in the kitchen. Expeller pressed refined organic coconut oil. 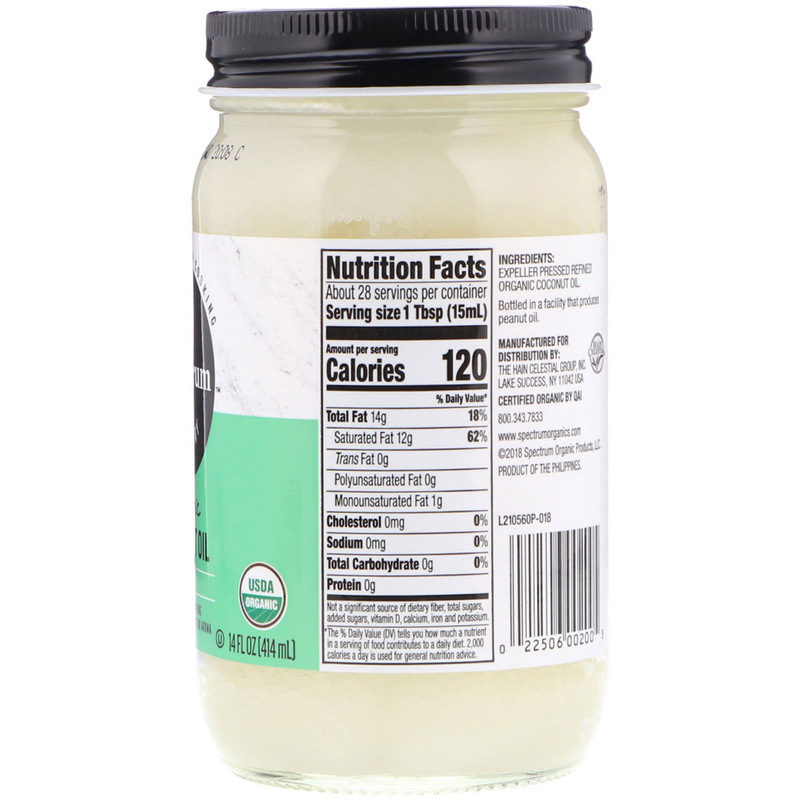 Contains 9 g of medium chain triglycerides (MCT) per serving. No refrigeration necessary. 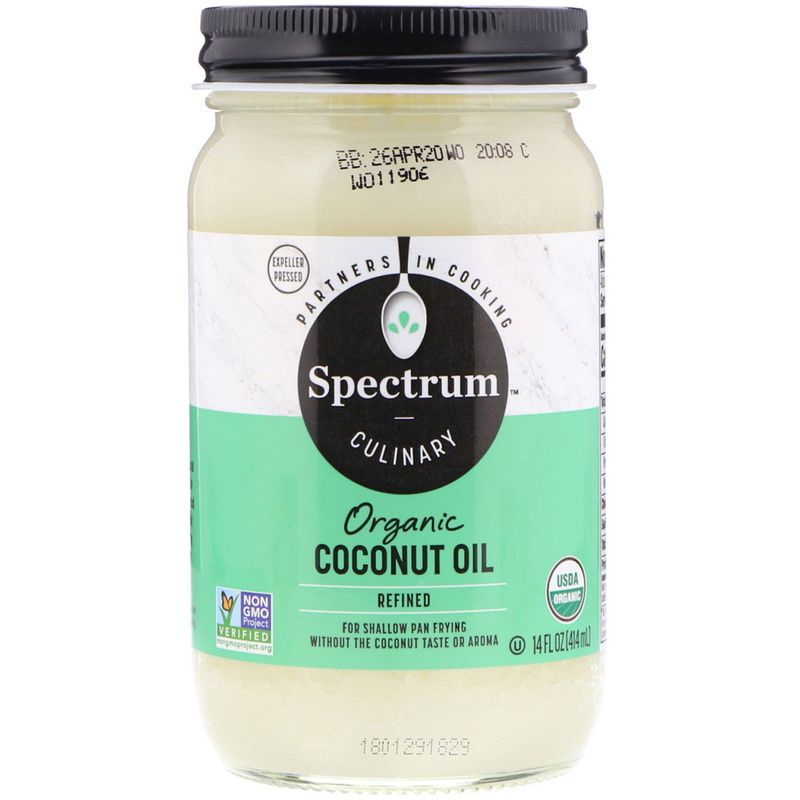 Coconut oil will be liquid at temperatures above 75°F.